The Prince of Persia makes his way home to Babylon, bearing with him Kaileena, the enigmatic Empress of Time. But instead of the peace he longs for, he finds his kingdom ravaged by war and Kaileena the target of a brutal plot. When she is kidnapped and killed, her death unleashes the Sands of Time, which strike the Prince and threaten to destroy everything he holds dear. Cast to the streets, hunted as a fugitive, the Prince soon discovers that the Sands have tainted him giving rise to a deadly Dark Prince, whose spirit gradually possesses our hero. Master two very different characters as you engage enemies with the improved free-form fighting system. Strangle foes with the Daggertail or use new stealth skills to launch deadly attacks from the shadows. 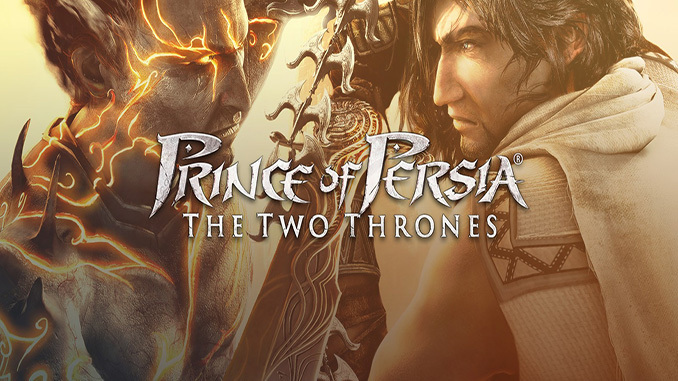 Explore the astonishing, varied locations, find your way into seemingly unreachable areas, and solve many twisted puzzles, while you witness the Prince’s journey towards his undiscovered fate. – Expanded free-form fighting complete with stealth and ranged attacks for finesse and complexity. – An amazing story full of twists and heart-stopping moments that will keep you on the edge of your chair. – Beautiful, diverse world to explore, including the streets of Babylon and the famous Hanging Gardens. The Prince of Persia makes his way home to Babylon, bearing with him Kaileena, the enigmatic Empress of Time. But instead of the peace he longs for, he finds his kingdom ravaged by war and Kaileena the target of a brutal plot. When she is kidnapped and killed, her death unleashes the Sands of Time, which strike the Prince and threaten to destroy everything he holds dear. You are always welcome, please dont forget to share 😀 happy gaming! Thanks for the game, ive been aways searching for it because i had the trilogy on my ps2, then i needed to sell it to buy my xbox 360, and i have not finished the two thrones yet. Most Difficult of The Series. Again, Thanks Everyone for the AMAZING support. You are always welcome 😀 Thanks for trusting us. Have fun playing!!! This games as full version with cut sences or not ? Where can i make a request for PoP the forgotten sands? I loved the game when i was a lot younger, but i can’t find it online for free and i don’t know if it even is posible. Thanks!